HomeCommunityWhat really happened to the Scan & Go handhelds at Sebastian Walmart? What really happened to the Scan & Go handhelds at Sebastian Walmart? Walmart removes Scan & Go handhelds at Sebastian store. 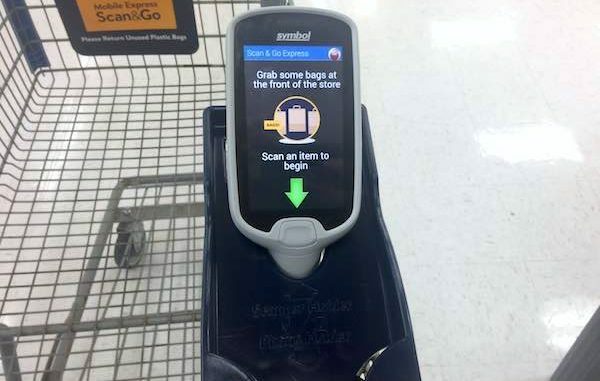 SEBASTIAN – When Walmart Inc. removed the Scan & Go handhelds recently from the store in Sebastian, people heard mixed stories about the reason. The Scan & Go handhelds were introduced last February as a way for customers to purchase and bag their items as they shopped at Walmart. The new way of shopping became easier, faster, and most of the Walmart customers we spoke with in Sebastian welcomed the new technology. McDonald’s also joined in by creating a Mobile Order & Pay in Sebastian. We contacted Walmart and they said the store was only testing the new Scan & Go technology. “We’re testing things all across the country at different stores and it’s about what works best for the customer,” a Walmart spokesperson told Sebastian Daily. “We want the whole checkout process to be that seamless process. So, if there’s points in the process that are not quite there yet on the seamless front, we take those learnings and we’re plugging them into other areas of the store,” the spokesperson added. It’s not the first time that the retailer tested the Scan & Go handheld technology. 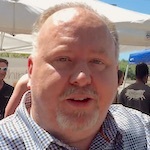 The company first began testing it in 2012 and expanded it to a few hundred stores at the time. Walmart shut down the test in 2014 after concluding the chain’s customers were not able to figure out how to use the application. When Walmart began the latest test at the Sebastian store, the management and corporate directors were confident its customers were ready. They found out that some customers preferred to leave tasks such as weighing produce to cashiers. Others with several items in their cart found it better to leave the scanning to the Walmart cashiers. Some people complained that the handhelds were too difficult to use. Gone also are the brand new shopping carts. Walmart also told Sebastian Daily that they are testing a mobile app to allow customers to scan and pay instead of the Scan & Go handheld. If the company was losing money during the Scan & Go testing, they probably wouldn’t admit it. For people like myself, it truly made shopping a pleasure. Scan, bag, and pay. Will the handheld scanners return? The spokesperson wouldn’t comment.